For food and dining corporations in Korea, overseas markets have been emerging as key growth engines. Some of them have made successful inroads into markets, including Russia and Eastern Europe as well as Asia. For instance, Korea’s top soft drink maker Lotte Chilsung Beverage has seen its exports to reach $118 million in 2011. By country, it shipped $78 million worth of beverage to Japan, $18 million to Russia $8.1 million to the USA and $6 million to others, respectively. 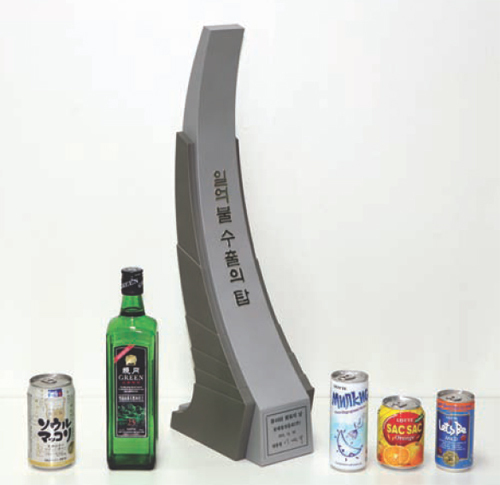 The company has seen its exports reach $118 million, winning the $100 million Export Tower Award from KITA at the 48th Trade Day ceremony in 2011. Among its main export products, Milkis (soft drink) and Let’s Be (canned coffee) are the best-selling items. According to the Korean soft drink maker, Milkis has posted $10 million in export this year, including $9.8 million in the Russian market where about 70% of the company’s Let’s Be export volumes are consumed. The company has introduced heated cabinets which are widely used in Korea’s retail stores to keep canned drinks warm, to uplift the sales of the canned coffee brand in Russia. Lotte Chilsung that started its first business by selling Chilsung Cider in 1950s has grown into nation’s biggest beverage company with 1.3 trillion won in sales. The lemon lime soft drink Chilsung Cider celebrated its 61th anniversary this year with the market share of 80% in Korea’s lemon lime soft drink market. An estimated of 10 billion bottles of the lemon-lime soft drink has been sold since the 1950s. It now produces and exports over 130 types of drinks and alcoholic beverages, including carbonated soft drink, fruit juices coffees, tea drinks, soybean drinks, mineral waters and alcoholic drinks. Lotte Chilsung operated five soft drinks factories and one alcoholic drinks factory which are equipped with the latest facilities. The company markets its products under the brand names of Chilsung Cider, Milkis, Trevi, Dynamic, LOTTE JEJU MANDARIN, Nepure Mulberry Drink, Premium Apple 100, Mango coco, Delmonte Squeeze, 2%-Refreshing Near Water, Scotch Blue Single Malt and others. Through a nationwide network of seven factories and more than 90 sales branches, Lotte Chilsung Beverage is now pouring its efforts into increasing exports to Southeast Asia and others parts of the world. As a means to expand its market overseas, Lotte Chilsung has been implementing long-term business strategies. Starting with Vietnam in 1996, the exporting network has expanded to China, Russia, Southeast Asia and the Middle East. If you want more information about ‘Beverage’, please korean-products.com/about-us/contact-us.